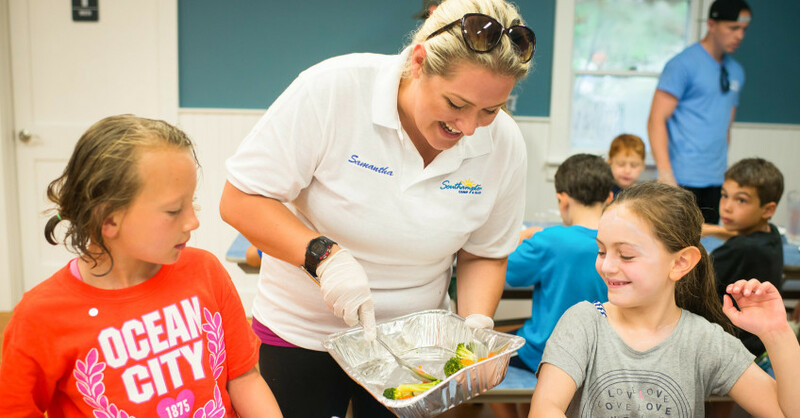 Southampton Camp & Club prides itself on having one of the most nutritious, and camper-friendly menus in camping. Nutrition and healthy eating is as important to us at SCC as they are to you at home as parents. A balanced meal plan will mean more energy to have FUN day in and day out! SCC spirit comes to life in our air-conditioned dining hall and our covered outdoor eating area where campers sit with counselors & friends. 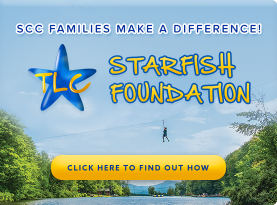 Campers are served family-style and monitored closely by their counselors and staff. We offer a menu of the highest quality camper-friendly foods with lots of alternatives available. Every year we continue our commitment to serve healthy & tasty foods that are nutritionally balanced and will appeal to even the pickiest of eaters. We take all of our camper’s likes and dislikes seriously, and we do our best to make sure that there is something for everyone, everyday. Healthy morning & afternoon snacks – frozen fruits, granola bars, and natural ices. We are able to accommodate campers with a wide range of food allergies. 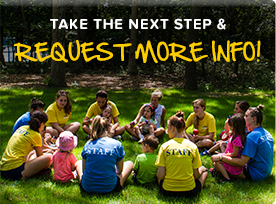 Our Directors, Head Chef, and Division Leaders will work with you to make sure your camper has a fun and safe summer. 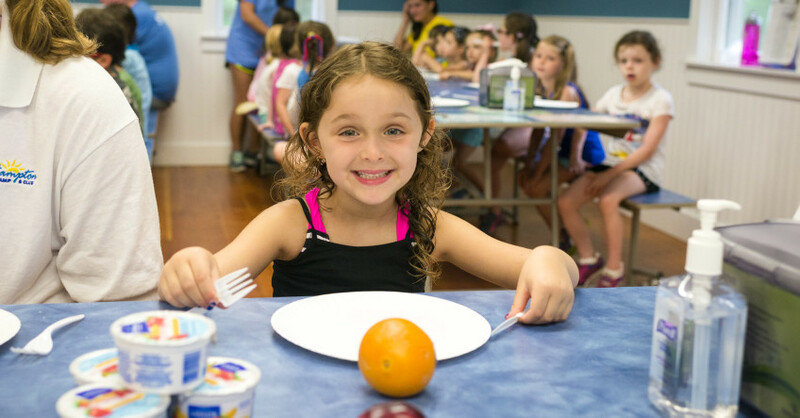 If your child has a food allergy and you have questions regarding our accommodations for that particular allergy, we invite you to call our camp office at 516-953-5176 (Winter) or 631-488-4700 (Summer) to speak more about any dietary or medical needs. At SCC, we have a modern, well-equipped Health Center staffed by our Head Nurse at all times, as well as numerous staff trained in CPR, First Aid, AED, Epi-Pen administration and emergency response. We are also less than 10 minutes away from both our on call Pediatrician and the Southampton Hospital.